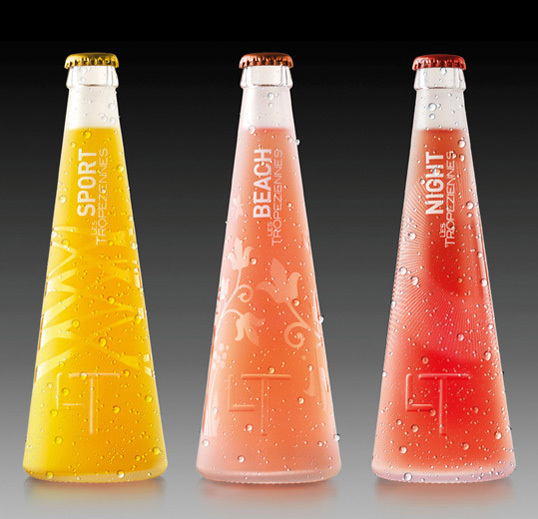 Corretje Comunicació Grafica won the gold award at the 2010 Pentawards for developing these three different bottles for Les Tropeziennes waters. Mmmm…. need to try one!